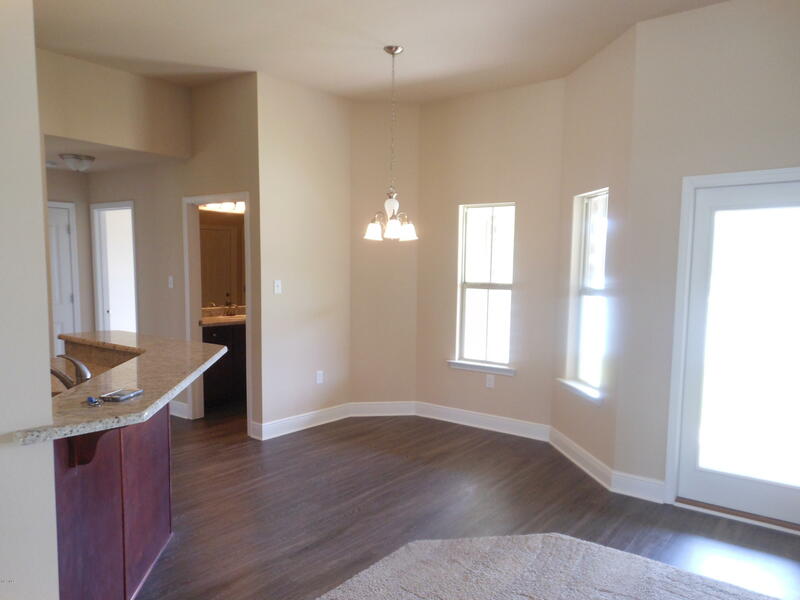 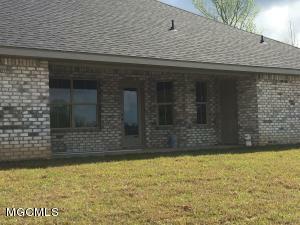 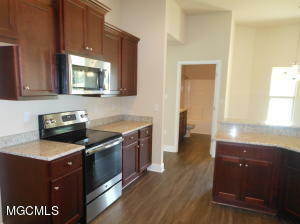 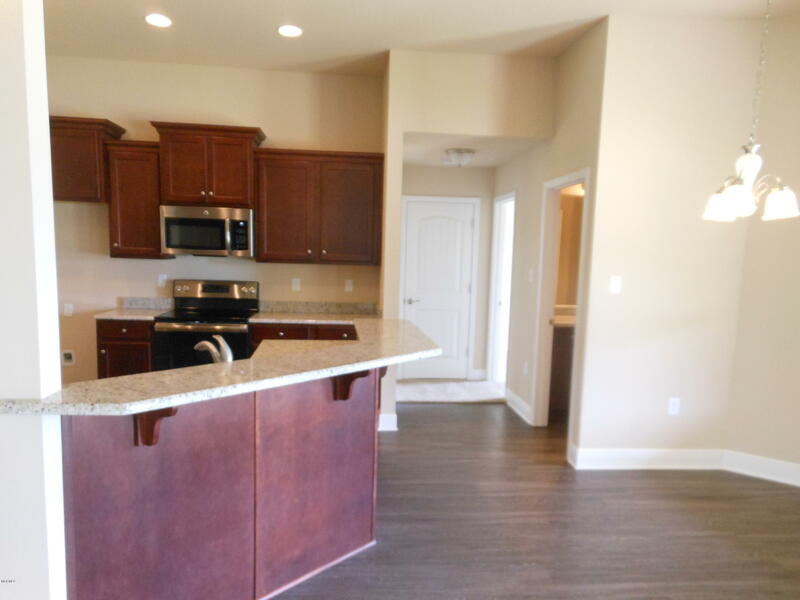 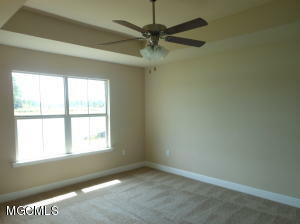 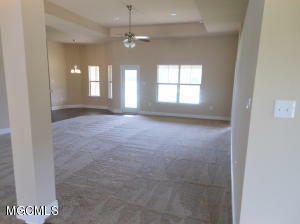 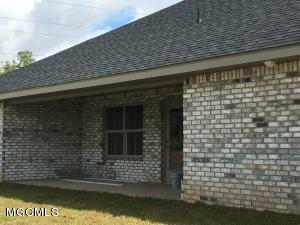 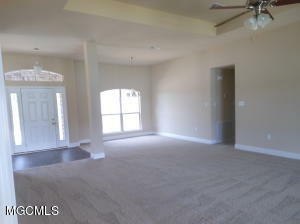 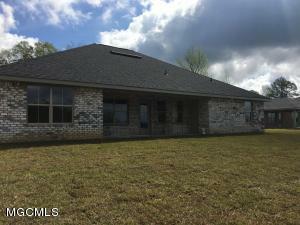 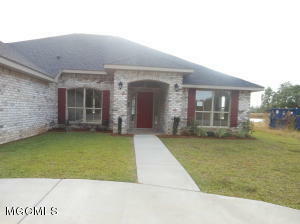 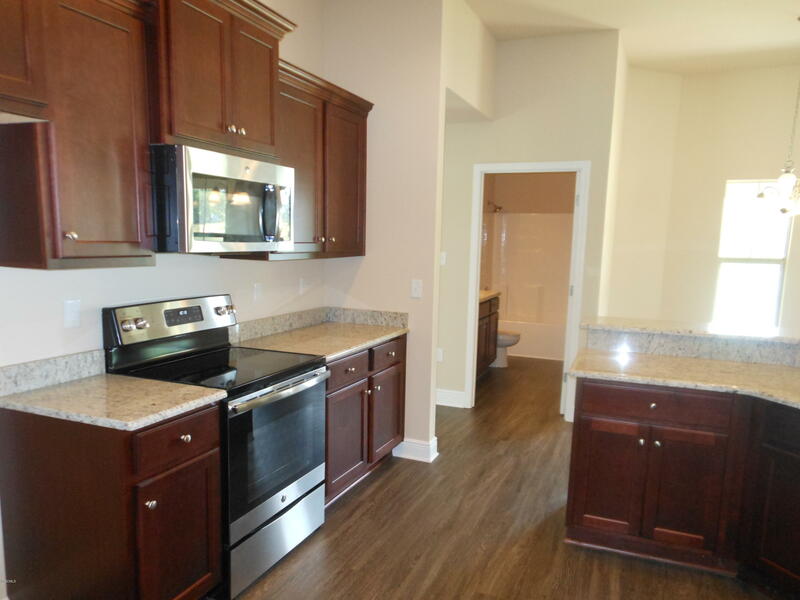 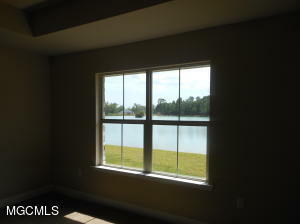 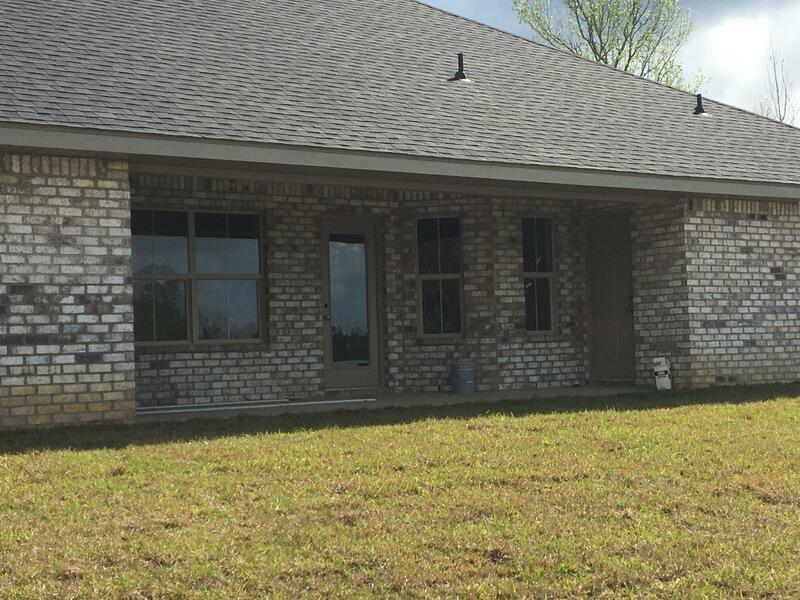 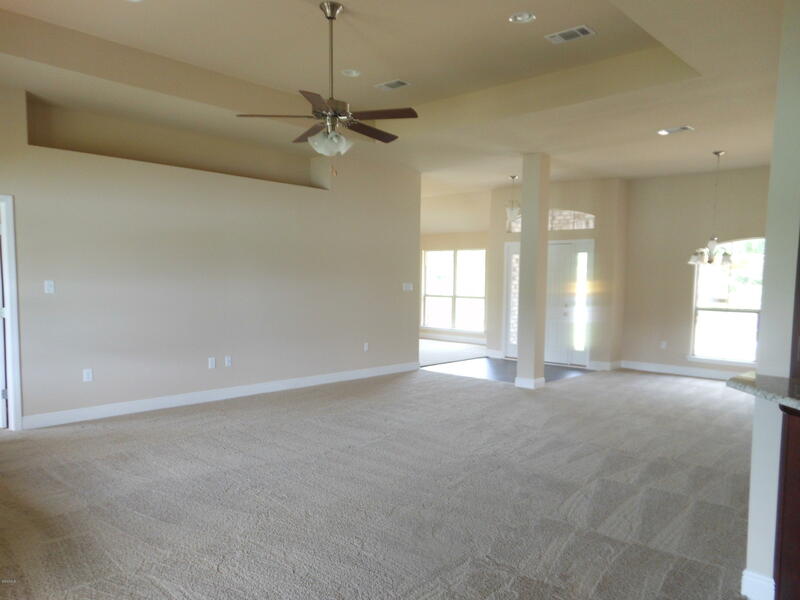 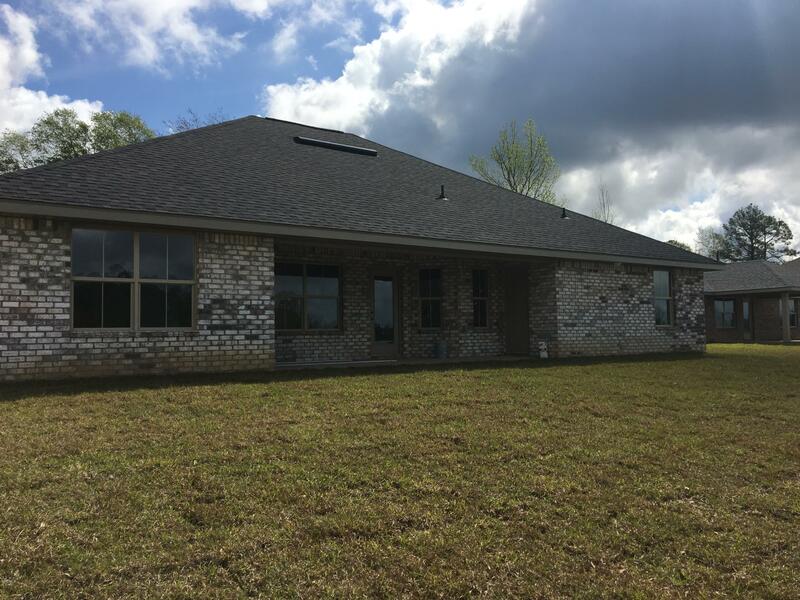 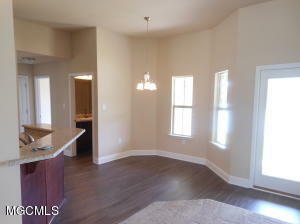 This home is a 4 bedroom 3 bath split floor plan that has trey ceilings in the great room and the master bedroom suite. 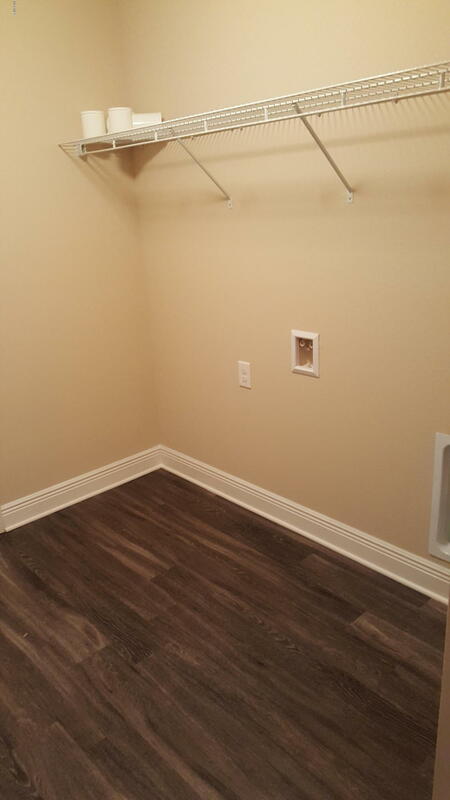 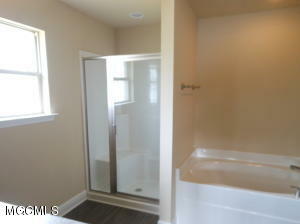 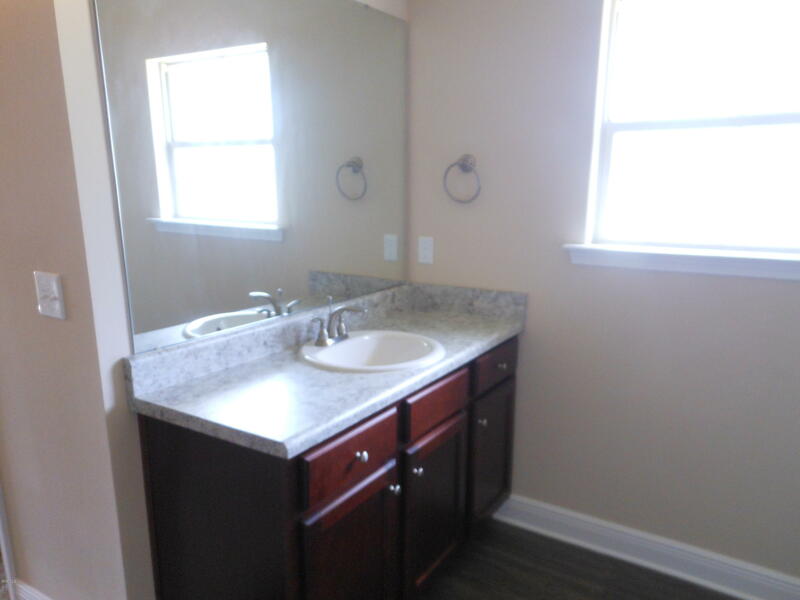 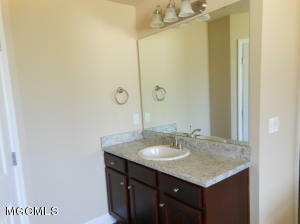 The master bedroom has 2 walk in closets and separated sinks in master bath. 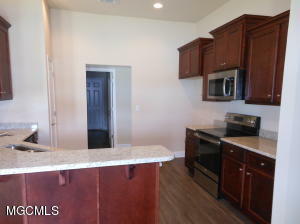 2'' faux Blinds through out house, Side by side Refrigerator. 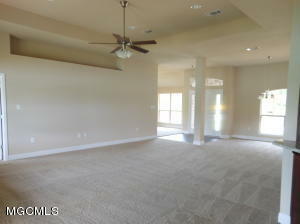 Recessed lights in Great room Trey. 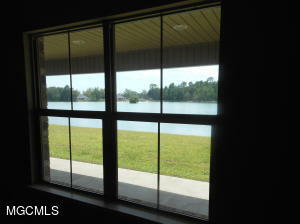 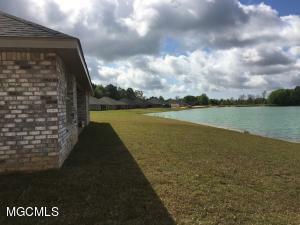 Sit out on your back porch and enjoy the view of the emerald green lake.This is a lake lot without the premium. The community also includes a COMMUNITY POOL, DOCK, WALKING TRAIL AND LAKE.